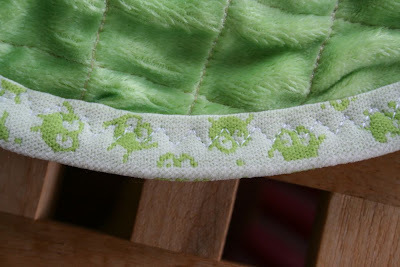 I sandwiched a piece of crinkly plastic (cut from a package of baby wipes) in between the fabrics so it would have an interesting sound and then encased the raw edge in some cute monster print fold over elastic so the edges would be soft too. Perfect for little hands that like to grab. My 9 month old stayed happily occupied with this at the zoo yesterday for 30 minutes (aka eternity to moms of babies). This breezy cotton fabric features flocked gingham roosters and suns. 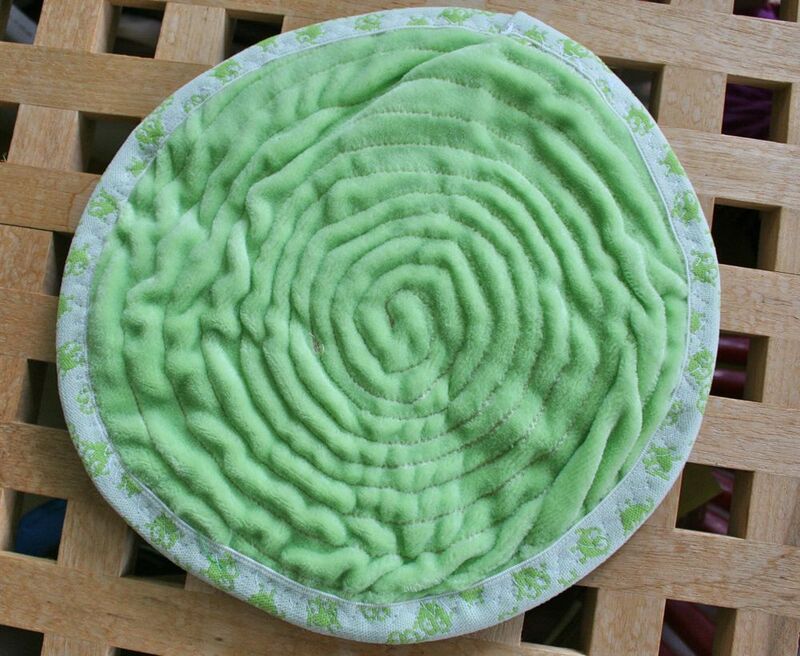 Super soft, fun lime & white color combo & perfect for summertime projects. The giveaway will be open until 11:59pm EST June 20, 2010. I'll announce the winner on June 22th. I can't wait to see what you come up with! 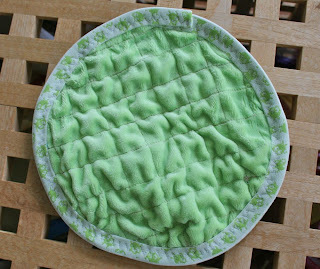 I would love to make some pot holders, and embellish some dish towels with it. That fabric matches the baby's nursery perfectly! So cute! How about a baby quilt or some floor pillows? It would also be great to add a trim to curtains. Thanks for the great giveaway! very cool bag! i love the baby toy too - i heard about texture magic somewhere else, i may need to try that! i think i'd make a stroller blanket for our soon to be born son! 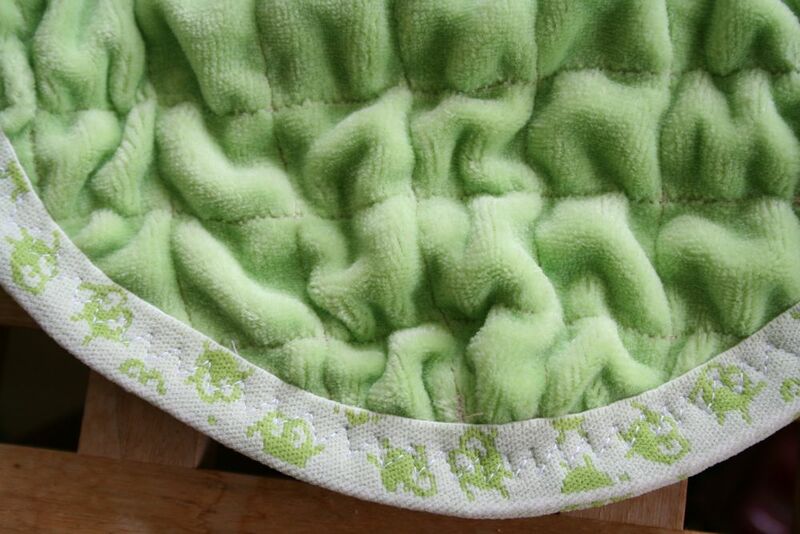 I would embellish some cloth diapers to use as burpcloths for a pregnant friend. I am not sure what I would make, but I would figure it out:) AND I know it would be super cute and for my bff. She is addicted to roosters. I'm a new follower and am loving your baby toys - they are darling - If I won the fabric - I would make a camera strap! I'd use it as trim on a skirt I'm making. Fun! I'd use it as a border on some tea towels. Love this! 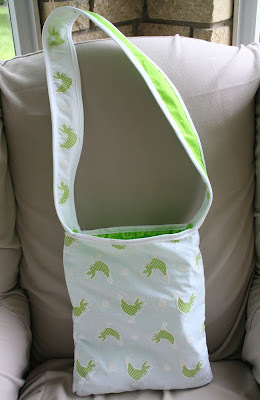 I am featuring it at somedaycrafts.blogspot.com! love the baby toy...now i just need to dye my obv! as for the rooster fabric, i'd like to think i might branch out and finally make something other than a super cute skirt for one of my girlies but who am i kidding? but i did like someone else's idea of a camera strap cover; wouldn't it be swell if my camera could match the outfit i was photographing? i should do that with every skirt i make...lol! ps-i'm now a follower. i think. i hope! Ooh I think I would use it on an apron! 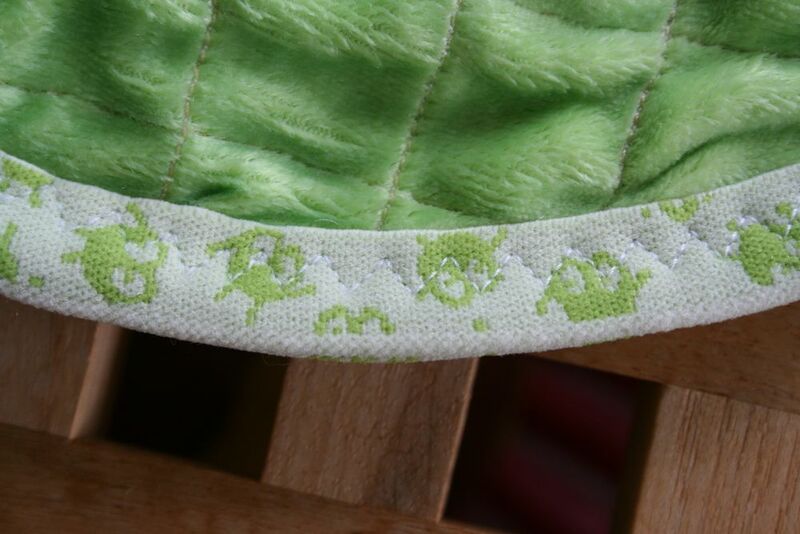 Very cute fabric!! That is a strange product. Sounds interesting. Thanks for bringing it to my attention. I think I'd definitely use it for some sort of baby toy. I love yours. So cute! I would use the fabric for accents on pillow covers in my boys' rooms. Interestingly, I just 'discovered' Texture Magic (online, haven't been able to purchase it locally yet) about two weeks ago. It looks like so much fun. i would love to try to maky a breezy sundress for my baby girl, she's turning 1 this week! Love how cute this turned out! Thanks for linking to Hoo's got talent! 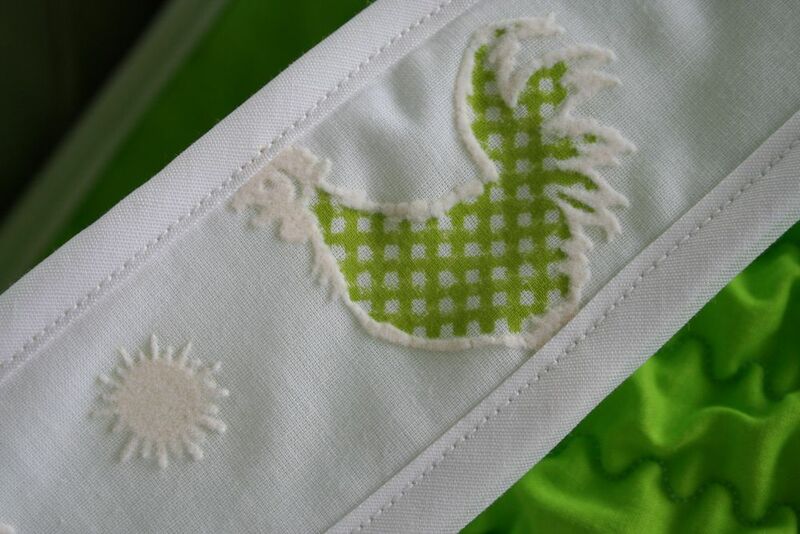 If I won this material, I would make an apron, I think the green roosters would be great for an apron!